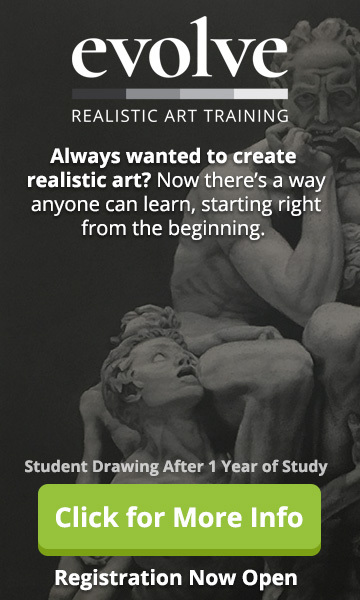 Ready to learn how to draw a clenched hand? 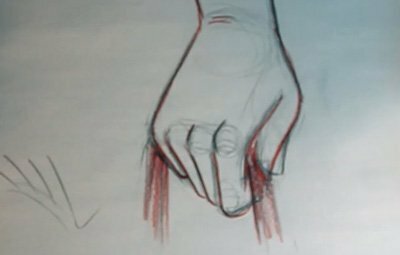 When you are drawing hands that are pulling on an object, pay attention to the flesh between the thumb and the palm of the hand. When the thumb is spread out it makes a nice web, but when the thumb is close to the hand, the excess flesh bunches up. Notice the converging lines of the fingers and how they are not parallel. This is an important detail in learning how to draw a clenched hand, and it’s one which will give your sketch a more artistic feel. 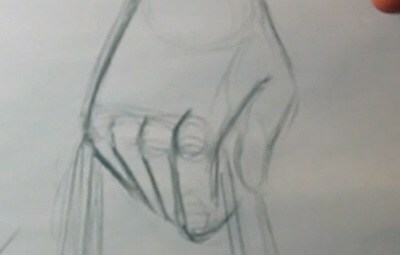 When learning how to draw a clenched hand, pay attention to the lines showing the object being pulled on. In this case we have the handles of a grocery bag. The more strain you draw in the handle of the bag tells the viewer the weight of the objects inside of the bag and how much strain is being put on the person holding the bag. This idea can also be affected by the angle of the person’s wrist. In this example there is a bit of an angle on the wrist, so the bag is probably fairly light. The artists has chosen to highlight the details here to help you see what will be visible in a final version of a drawing compared to all the pieces that went into building the structure of the hand. The red lines indicate lines that will be visible in the end, while the remaining grey lines would be erased. 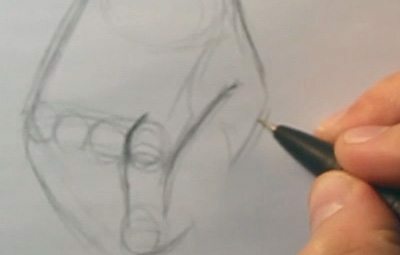 These structural pieces include knuckles and joints and they are an important part of drawing a hand. If you remember to use them as you are drawing you will have drawn a beautiful hand in no time. Feel free to spin the drawing to get a new perspective on it, this can be a person holding a grocery bag or hanging on to a handle while standing on the bus. And that’s it for our article on how to draw a clenched hand. We hope you enjoyed it! 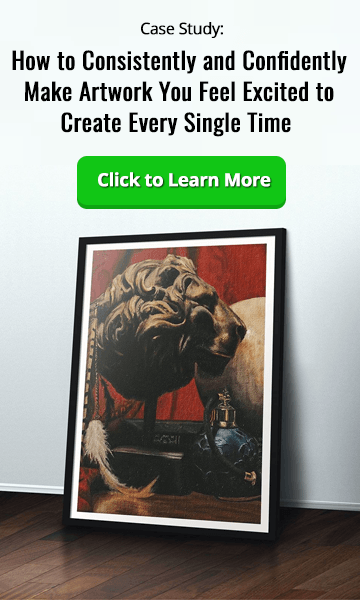 PK 155: How to Become a Fantasy Illustrator. 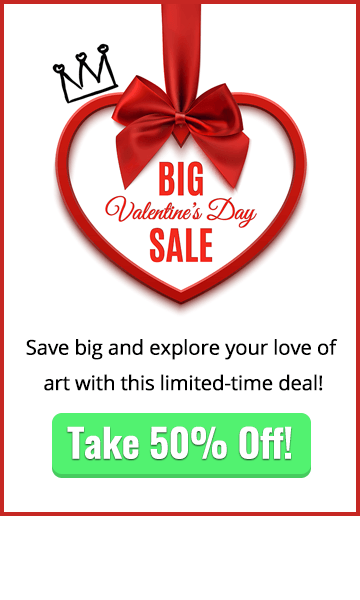 Interview With Fantasy Artist, Crystal Sully.